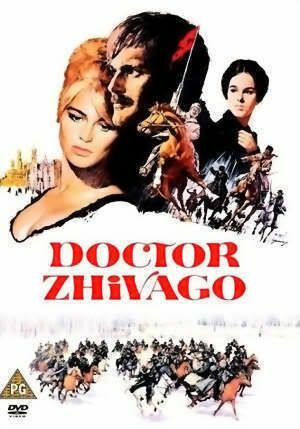 Lara, the primary love interest in Dr. Zhivago, has an interesting and startling run-in with a thief in her parlor before she and her useless husband, Pasha, leave for the Urals. The thief pops into the narrative for a moment and pops out, without any real impact on the plot or character development. Yet, the scene is provocative and it nags. Lara and her friends have spent a crazy night drinking vodka. After hours of dance and drink, they all fall asleep in the apartment, stuffed in corners and propped up on couches. In an early morning haze, Lara is barely awake and she notices a man digging through her belongings. At first she does not know who it is and is not aware enough to raise an alarm. She then believes it is Pasha, which prompts her to wonder, why her husband would be acting in such a covert way in her belongings. He turns his face and what she expects to she, Pasha's visage, is actually a scared mess of a man she does not know. She jumps up, runs at him and yells him out of the house. Nothing has been taken, so she awakens her comrades and continues her packing. Lara is a stalwart character, tied to her past, passionate in her loves, and largely immovable. She believes, much like Yuri Zhivago, that her life is created without her input. Her reaction to the thief is not surprising; what is surprising is that she believes it's her husband. On the one hand it is natural. She has no context for believing that any other blond haired man would rifle through her things, yet, it leaves an unsettling residue when the reader realizes Lara believes this man is her Pasha. When he turns his face and his horrible scar is evident, it is clear that Zhivago has tricked the reader and Lara. This scene, though small, foreshadows much. Pasha ends up to be a thief in a true sense of the word, when he disappears from Lara's life and turns into a criminal. This small subtle moment, that's quite private, really, between the reader, Lara, and the criminal provides a brilliant whisper of Lara and Pasha's future.